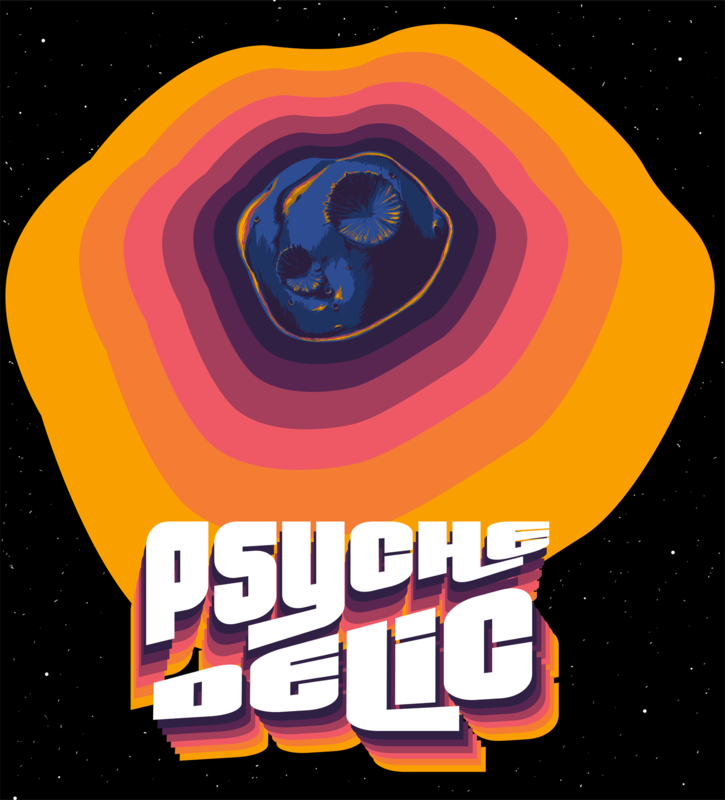 About the work: This poster series takes a modern twist on a groovy style and is a play on words of the Psyche Mission. Psyche-delic is both a pun and an adjective to describe the style of art and initial idea I had for this project. 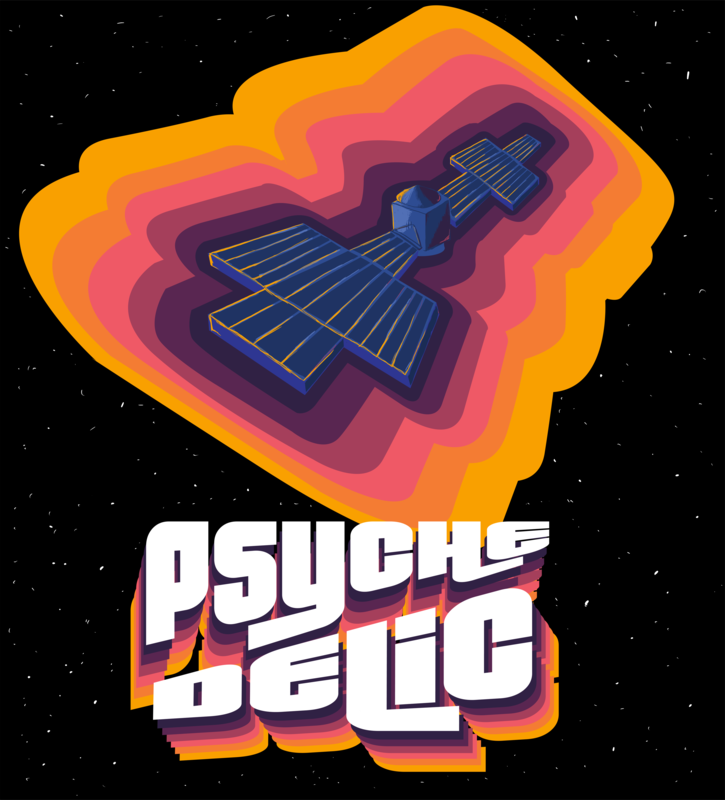 Both images consist of concentric shapes radiating from the subject (which is either the Psyche spacecraft or asteroid) and use the colors found in the Psyche mission’s color scheme. As a poster that is meant to be seen, I wanted the images to be as eye-catching and scientifically accurate as possible, so I made sure the colors took up a big part of the posters, the text had a stylistic and striking diagonal to them, and that all the details of both the asteroid and the spacecraft were captured through finely painted strokes.